The British Sankukai Karate Association was formed in 1981 following the break up of The Association International Karate Sankukai.The B.S.K.A was one of the founder members of the Federation of English Karate Organisation (F.E.K.O). As a member of F.E.K.O our clubs have public liability insurance and abide by it’s N.S.P.C.C. endorsed child protection policy.All B.S.K.A instructors are F.E.K.O registered and have been assessed and qualified as F.E.K.O coaches. As part of this qualification they must be Criminal Record Bureau checked to enhanced level and hold proffesional indemnity insurance. 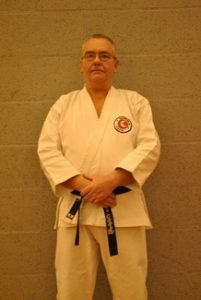 Alan ‘Butch’ White began training in 1962 in Shotokan.At this time he was also introduced to Judo, Aikido, Atemi Jutsu and Kendo.In the following years he trained in Wadoryu and in 1969 he took up Shukokai with Eddie Daniels. 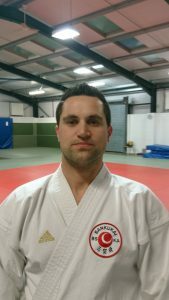 During his time with the Shukokai Karate Union he fought for SKU national team and then as a full international with the All Styles Great Britain Team. After seeing Sensei Nanbu’s demonstration in 1975 at the All British Championships, Butch realised that Sankukai was the direction he wanted to take. The following year he and his dojos in Kidderminster and Wolverhamton joined the Association International Karate Sankukai under Chief Instructor for Britain Alan Hunt. With the break up of AIKS in the early 1980’s The British Sankukai KarateAssociation was formed and Butch became its Chief Instructor. 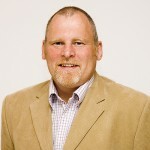 In recent years he has handed the day to day running of the association to others and is now BSKA President. Over the years Butch has been greatly involved in security and close protection work. He has ‘minded’ royalty and Hollywood film stars and has run corporate employee security and self awareness courses for large public companies. Calvin Collins began training in 1974 at the age of 12 with Sensei Butch White. At that time the training was in Shukokai Karate. In 1976 Butch White’s clubs changed to Sankukai and Calvin gained his Shodan in 1979. 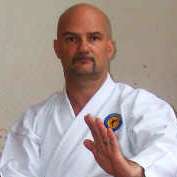 He has run clubs in Oxford, Worcester, Kidderminster and Kinver.As well as being Chief Instructor to The BSKA he is also a senior instructor and grading officer to The Federation Sankukai Karate Scotland. He is also a F.E.K.O coaching assessor. Calvin still considers Butch White as his Sensei and also trains regularly with people such as Sergio Morstablini (Sankukai), Ryozo Tsukada (Shitoryu), Slater Williams (Shotokan) and Cornelius Carr (Boxing). Simon has been training in Sankukai since 1976 aged 11 years. He trained under the guidance of Sensei Alan Butch White 7th Dan and Calvin Collins 6th Dan.Simon acheived his 1st Dan in 1980,2nd Dan in 1982, 3rd Dan in 1988 and 4th Dan in 2003. John started training at the late age of 21 in 1974 under the instruction of Butch White to whom he feels he owes his whole career in martial arts. Butch laid the foundations for which our association was built and continues to support us. At this time he was training in Shukokai. After a year John had commitments and worked abroad in Germany for the following year.On returning John continued his training with Butch White training in Sankukai. It was decided the association needed to grow so John opened Clubs in Stourport, Cleobury Mortimer and Clows Top. Along with Sankukai John trains in Nanbudo and teaches a variety of weapons including Escrima, Nunchaku, Tonfa, Jo-Staff, Kobutan and Tanto. John is Chairman of the B.S.K.A and continues to support the association. Brian’s introduction into the martial arts was in Judo while serving in H.M. Forces during 1959/1962. After discharge he took no further part in any martial arts until 1974 when he joined Sensei Butch White’s Shukokai Karate in Kidderminster. Retiring from teaching in 2004 at the age of 65, he handed over his club to other instructors witin the BSKA. Former EKC National competition judge and F.E.K.O referee. Although having trained with Japanese, Okinawan, South African and British masters in many styles of Karate he still looks on Sensei Butch White as his mentor and the biggest influence of his martial arts career. Brian has retired as Chairman of the B.S.K.A but continues to support the association. Ken began training in Karate in 1974 and has attained the grade of 4th Dan. Warren trained for a number of years in Sankukai and reached brown belt. He has been treasurer of the B.S.K.A for many years and continues to support the association. Les began his martial arts training in Wado-Ryu under Paul Johnson and Sakigami Sensei in the mid seventies. After a break he began training again to help keep fit as he developed diabetes. He trained under Mal Fellows under Chief Instructor Butch White.Although Les has continued to train in Sankukai he has also trained in other martial arts including Muay Tai, Tai Chi, Kung Fu and Escrima. Les has been teaching Sankukai since 1990. He is a qualified Registered Chiropodist/Podiatrist and Body Mechanics Therapist (which covers posture alinement, clinical massage, back care, sports injuries, safe exercise and body-use patterns). He is also qualified in Reiki and is a member of St Johns Ambulance. Mick started his Karate training in 1973 in Wado Ryu. In 1978 he followed his Sensei Roger Mills into Sankukai,joining the A.I.K.S. He then followed Sensei Alan Butch White into The B.S.K.A,where he has continued to train and gain all his Dan grades under Sensei Butch White and Sensei Calvin Collins. Kerry started training in 1985 under instructor Sensei John Nelson. 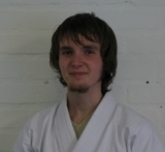 Kerry is graded to 4th Dan and is a senior instructor at Stourport Sankukai Karate Club. Kerry is very involved in the day to day administration and teaching at the club as well as being the licensing officer for the BSKA. 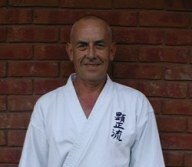 Steve first started training in the early 1970s in Judo and in the mid 1970s started training in Wadoryu Karate. Since 1996 he has also trained in Kung Fu and Kickboxing. Steve started training in Shitoryu Karate in 1999 and also a little Jujustu. Steve has trained with many notable instructors including Sakagami Sensei 8th dan Wado, Dave Lomas 7th degree Kung Fu, Chris Davis 6th dan Jujustu and George Condron 5th dan Shitoryu. Steve currently trains with Tsukada Sensei 7th dan Shitoryu. He trains regularly with him in England, Scotland and France. Gordon started training in Spring 1974, began teaching a year after that and has continued to do so ever since. He has covered a range of styles from Shukokai and Wadoryu to Sankukai and also Nanbudo before developing Severn Valley Karate. This has been bought about from his own personal experience through his professional role. His personal development has been greatly enhanced through this role, whereby he has had the opportunities of having been nationally qualified as an instructor. Gordon maintains the belief that he will always be learning and actively seeks to develop new and innovative ideas that he can pass on in his teaching. I live in Ashburton on South Island, New Zealand. I originally trained with the late Sensei Steve Bell. Sensei Collins graded me to shodan in 1994. I am now running a Sankukai Dojo in my home town of Allenton, Ashburton. I also ran a dojo with Bob Day in Milton Keynes which is still featured on the website. The training I promote adheres strictly to the Sankukai syllabus. I also train a lot of stick and knife attack and defence using the skill I was taught in the military and police. I am myself training in Arnis Philipino stick fighting. Steve began training in Shotokan karate in 1985, transferring to Sankukai in 1989 after attending lessons at one of Sensei Butch White’s clubs. Steve has remained with the BSKA ever since, gaining his Dan grades under the guidance of Sensei Calvin Collins. 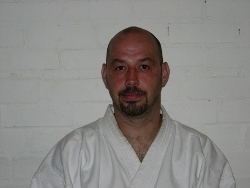 Since the mid-1990s Steve has also spent several years training under Sensei Alan Carruthers 7th Dan Sankukai (East Midlands Association), and under Sensei Terry Armsworth 6th Dan Wado Kai. He has also trained in tai-jutsu. Gary started training in Wado Ryu in 1973 at Dudley Wado Ryu Club, Instructor Sensei Ken Dicks, graded by Sakagami Sensei. Moved to Shukokai Karate in 1976 under Sensei Eddie Daniels of SKU. His club instructors were Sensei Phil Nicholls at Stourbridge SKC and Sensei John Cranksaw at Kidderminster SKC. Attended many courses given by Kimura Sensei Chief Instructor. Moved to Sankukai Karate in 1985 under Sensei John Kane of KSI. Formed ESKO Karate Kai in April 1986. As well as Kimura Sensei and Sakagami Sensei, he has trained under Yanegawa Sensei (BUDO Karate), Yamanaka Sensei (Goju Ryu) and Tsukada Sensei (Shito Ryu). Also trained under top British Instructors Peter Consterdine 8th Dan, Barry Nash 7th Dan, Dave Sharkey 7th Dan, Derrick Kirkham 6th Dan, Peter May 6th Dan and Brian Seabright Bka. Dennis started karate in 1993 at the Ilkeston Dojo, under Graham Hayes. He trained regularly at both the Ilkeston and Kirk Hallam Dojo with Graham. His training also took place at the Sandiacre Dojo with Neil Hayes, and later with Des Eyre. He was graded to Shodan in 1997 and gained Godan in 2014. Dennis also under went regular training with the head of the KSEM Association, Sensei Alan Carruthers, at the Beeston Dojo. Dennis still trains regularly and has had the privilege of working with Calvin Collins (6th Dan Sankukai) and other members of BSKA, and, when opportunity permits, with Ryozo Tsukada Sensei (8th Dan). He is a keen tournament official, and is qualified as FEKO National Referee and WUKF World Referee. Dennis originally started teaching with Maria Gillot at the Silverdale and Rushcliffe Arena Dojos in 1997, and still teaches at these two West Bridgford venues in Nottingham. Matthew started training in Sankukai in 1996 at the age of 7. He was taught up to 2nd Kyu at the Kinver Sankukai club by Sensei Brian Slater until 2003, where the club changed hands to Sensei Colin Braham who continued Matthews training up to 1st Dan (11 July 2004). Matthew has now achieved 2nd Dan (2 December 2006) under the instruction of Sensei Calvin Collins as well as becoming a certified instructor. He trains at the Kinver Sankukai Club as he has done for entire karate career, as well as at the Kidderminster Sankukai Dojo. Matthew was elected as a B.S.K.A. committee member in 2008 – 2014.